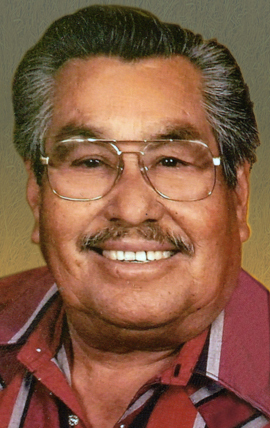 Services are scheduled for 9:30 a.m. Friday, May 13, at Our Lady of Grace Catholic Church for Enrique “Henry” R. Duran of Artesia. Duran, 79, passed away Sunday, May 8, 2016, at his home, surrounded by his family. Fr. Martin Cornejo, OFM, will officiate at the services, with interment to follow at Woodbine Cemetery. Pallbearers will be his family members Henry Duran Jr., Lawrence Perez, David Duran Jr., Rudy Duran, John Duran, Carter Garcia, Anthony Carrillo and Chris Reyes. Visitation will begin at 2 p.m. Thursday at Our Lady of Grace. A rosary will be recited at 6:30 p.m. Thursday at the church. Henry was born July 19, 1936, in Artesia to Juan and Asencion (Renteria) Duran. He was a lifelong Artesia resident. On Dec. 1, 1980, he married Juanita Carrasco in Pecos, Texas. Henry was a farm laborer and drove tractors for many local farms in the area. He loved spending time with his family and grandchildren, and was an avid outdoorsman, including hunting and fishing. Survivors include his wife, Juanita, of the family home; daughters Nancy Hernandez of Hobbs, Marina Chavarria and husband David of Lake Arthur, Henrietta Delgado and husband Raul of Artesia, Bianca Duran and Anthony Carrillo of Hagerman, Victoria Perez and husband Lawrence of Artesia, and Corina Duran and Carter Garcia of Hobbs; sons Henry Duran Jr. and wife Felicita, David Duran and wife JoAnn, Ismael Duran and wife Celena, and Eddie Duran and wife Lilly, all of Artesia; sisters Margaret Valdez of Lovington and Lupe Ortega and Rosa Garcia, both of Artesia; brothers Luis Duran and Michael Duran, both of Artesia; 40 grandchildren; and numerous great-grandchildren, great-great-grandchildren, nieces and nephews. He was preceded in death by his parents, three brothers, and one sister.